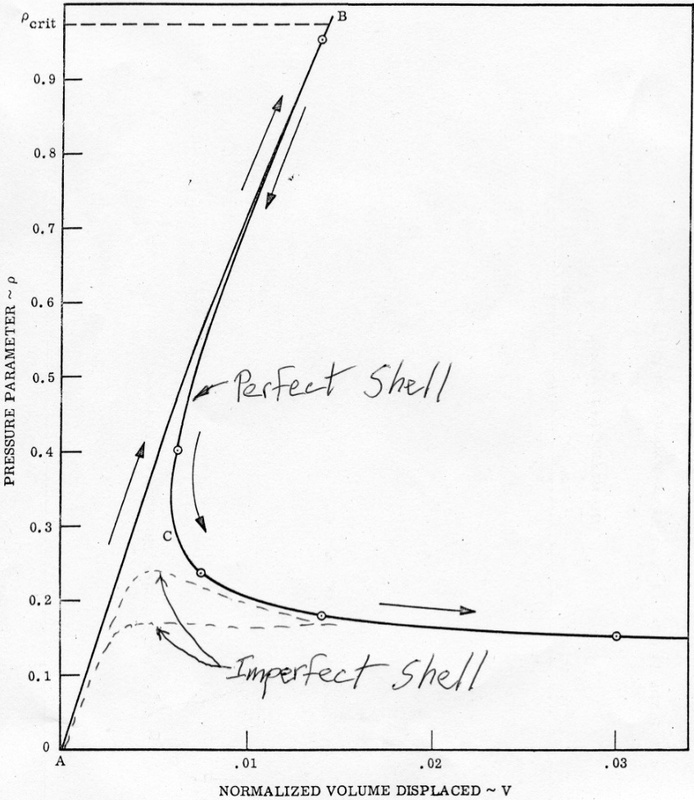 How sensitive to imperfections in a shell surface shape is the load at which that shell buckles? See the examples below and press the buttons on the left-hand side of the page. Examples are given in which the so-called “imperfection sensitivity” is high, moderate, and low. Also included is an example in which the “imperfection” is actually a poor design. 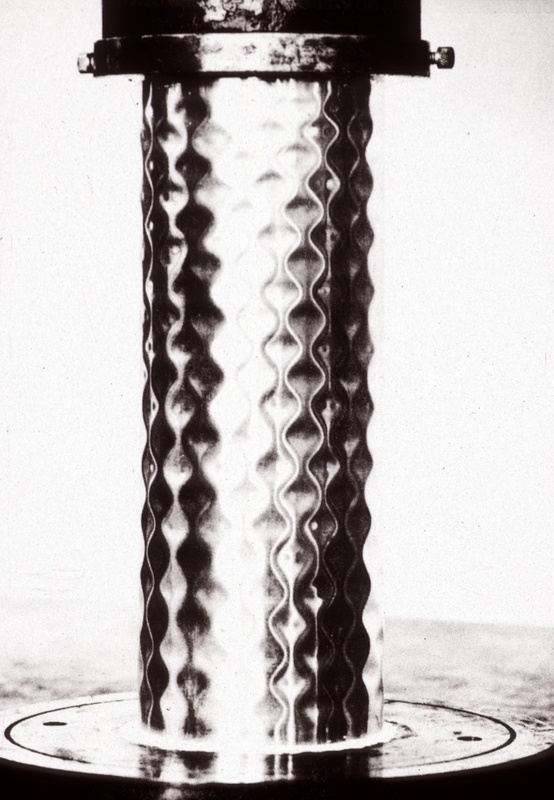 This slide shows the behavior of a very thin cylindrical shell under uniform axial compression or a very thin spherical shell under uniform external pressure. In these cases there is a dramatic effect of an initial imperfection on the load-carrying capacity of the cylindrical or spherical shell. View more photos that illustrate buckling behavior in the presence of shell imperfection. Read the paper, on buckling behavior in the presence of shell imperfection.